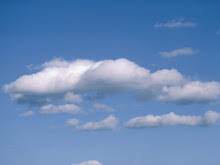 Bernard Golden wrote a great article on "The Case Against Cloud Computing". In this article he cites several interesting challenges slowing the adoption of Cloud Computing in the enterprise, along with his thoughts on how they will be addressed. Several months ago I was watching a presentation by Google's Jeff Ragusa, and he made a point that really caught my attention. Many years ago the information technology available to corporations or governments was significantly superior to anything available to consumers. But over the past 10 or 15 years there has been a significant change. Open standards and economies of scale have put powerful technology on the hands of consumers and small businesses. Today, as Jeff points out, there are many instances where small business or individuals are able to deploy solutions faster, easier and cheaper than many leading corporations. This brings me back to some of Bernard's points. I agree with him that most of the challenges that he mentions will be overcome over time. But I think the solutions will be the result of different approaches, different laws and different expectations. I think the technical evolution will foster a business evolution. Processes, regulations and business models will change. These changes will come not as a way to adapt to the cloud but as a way to harness its power.